The Colosseum reflects the Latin meaning of its name—‘colossal’. It could seat over 50,000 people, and it took up 6 acres of land. 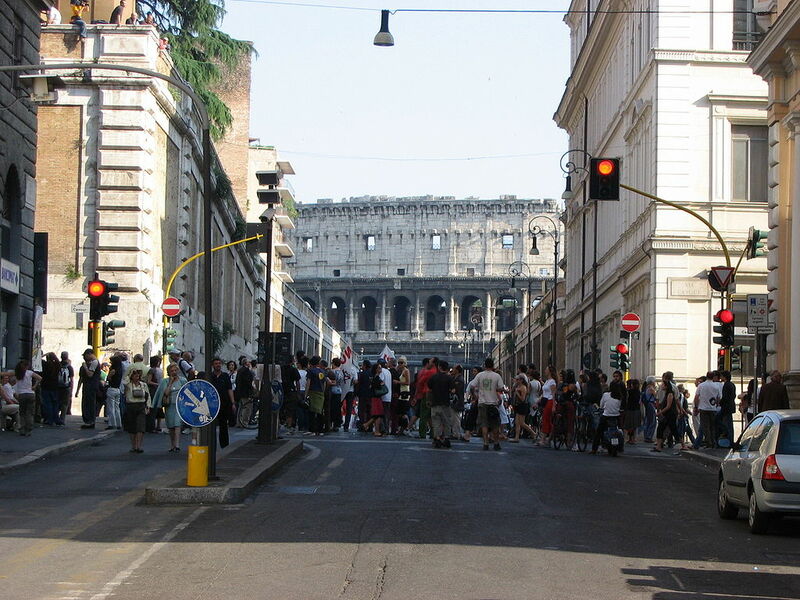 Its construction was a marvel of engineering: the outer wall was built with no mortar, and designers used innovative techniques to evacuate the huge structure quickly, creating 80 numbered entrances to facilitate the flow of foot traffic. It has seen more bloodshed than any other location in the world. 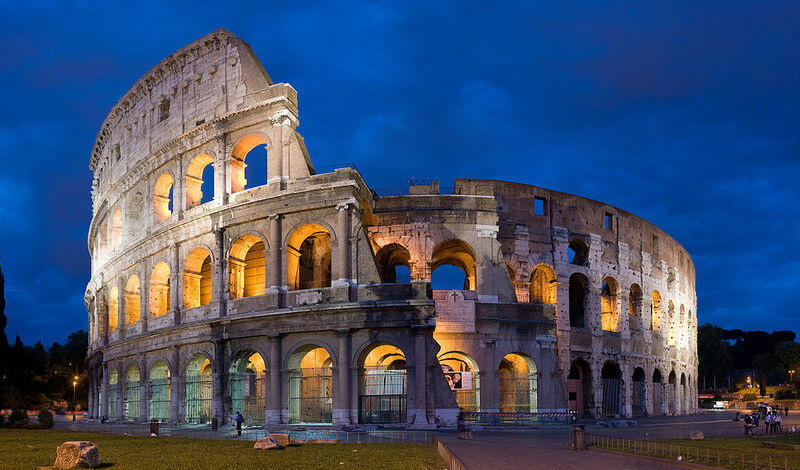 Its proper name is the Flavian Amphitheater, but most of the world knows it simply as the Colosseum, and its image is instantly recognizable around the world. The floor of the arena was made of wood, which was then covered by sand. Under the floor lay two maze-like levels of underground passageways and cages, which were used to contain gladiators and the wild animals that would take part in the games. The Colosseum was the site of gladiatorial games in which slaves or criminals fought to the death as the crowd went wild. The defeated gladiator was expected to accept his death without flinching; but the winner went on to fight another day. These games often included animal shows, which were in reality hunts staged for the specific purpose of slaughtering many animals. Over the years millions of animals died so that Romans could be entertained, and historians believe that several exotic species were rendered extinct by the Roman desire for entertainment. 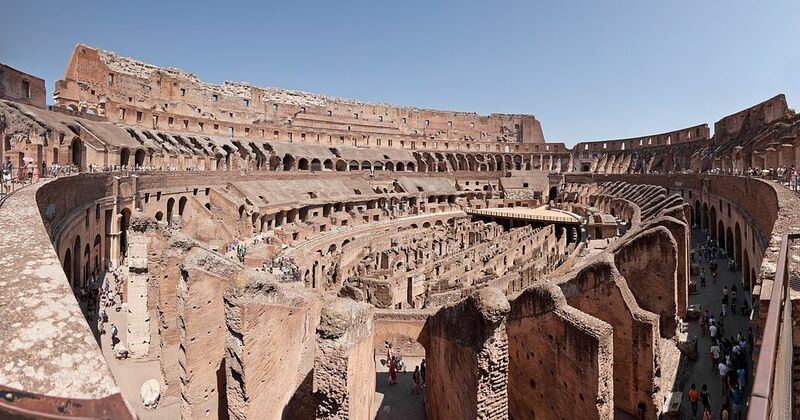 More than a few people met their fate in the Colosseum, too. It’s impossible to know exact numbers with any certainty, but historians estimate that at least 500,000 people and 1 million animals died there. 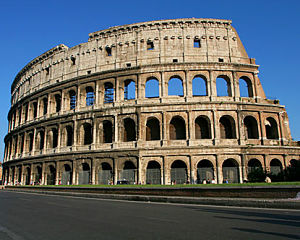 The Colosseum was a project of the Emperor Vespasian. 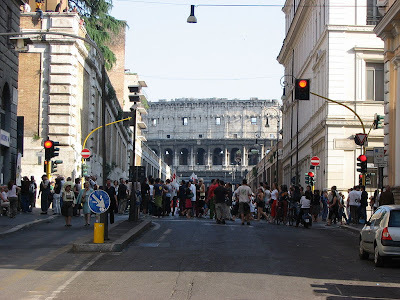 The Emperor chose a flat site, once crowded with slums full of poor inhabitants. The area had been conveniently decimated a few years earlier by a great fire, though, and construction began in 72 C.D. 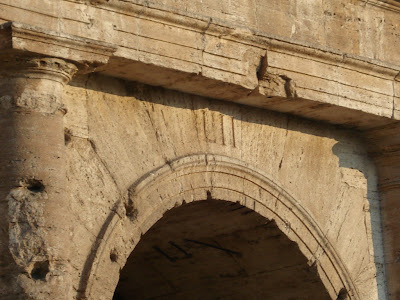 The Colosseum wasn’t completed until the reign of Titus, three years after Vespasian’s death. The games held to inaugurate the amphitheater lasted for days and resulted in the deaths of 9,000 animals. 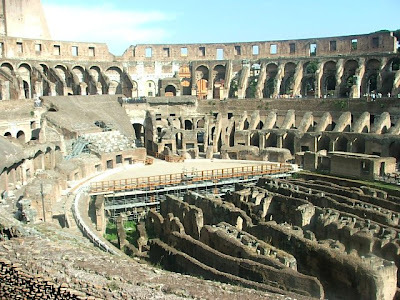 The structure of Roman society was strictly observed in the amphitheater’s seating. The Emperor held the most spacious seat, and Vestal Virgins were honored by receiving seats next to him. Senators and other important men had excellent seats, too; but the poor were stuck in the higher seats—harder to reach, and much more distant from the action. An earthquake caused part of the southern wall of the Colosseum to collapse in 1349. People considered the rubble to be fair game, and many pieces of the structure were carried away and used to complete other building projects. 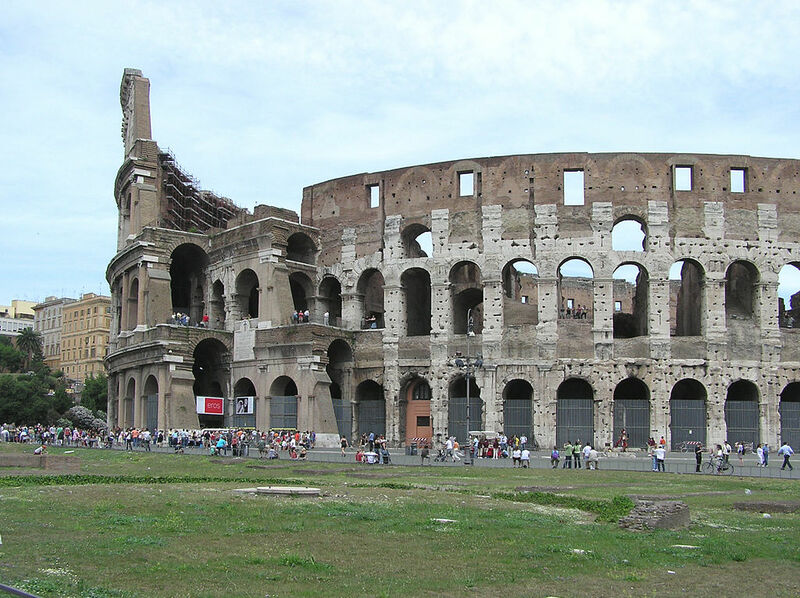 The Colosseum continued to be picked over as time went on, and large pieces of it were lost to history forever. At one point the Colosseum’s marble exterior was burned to make quicklime! 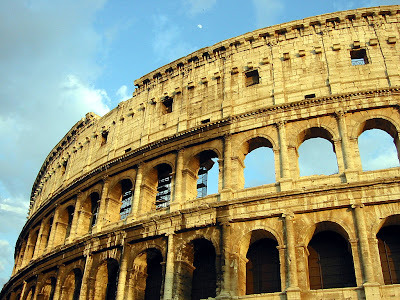 In the 1700’s, the Church began to express its concern over the destruction, and it looked for ways to protect the Colosseum. Pope Benedict decreed that the amphitheater was a holy site because it was saturated with the blood of Christians who had been martyred there. No hard historical evidence backs up this assertion, but the Pope’s statement may have prevented the complete destruction of the amphitheater.